Great photojournalism illuminates injustice and moves people to action. 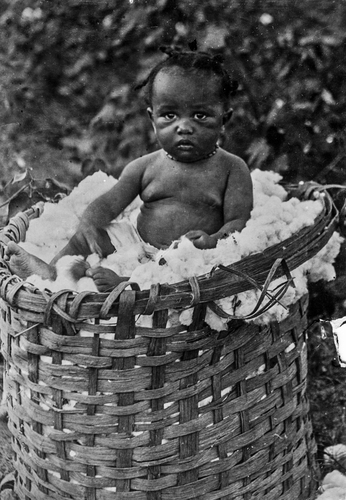 “Baby in a Basket of Cotton“, Virginia c.1920 is a disturbing cotton plantation scene in its own right. The image is symbolic of the hardships encountered in the time of slavery, Jim Crow, sharecropping and tenant farming. But this little girl, too young to walk, appears to be the victim of child abuse as she has welts on her face by each of her eyes. What possible crime could she have committed to deserve this treatment? A return to Dien Bien Phu, scene of the Vietminh victory over the French as told by Dermot McGrath. McGrath takes us into General Giap’s headquarters where the operation was planned. A museum depicting the Vietminh victory over the French has been created. A map showing the location of Dien Bien Phu illustrates just how the French forces were cut off from any hope of rescue. Today, following what the North Vietnamese had called the American War their government is very friendly to the United States. I would argue that this is due in part to their brief border war with China following the U. S. withdrawal. The enemy of my enemy is my friend. Vietnam needs protection from any future Chinese aggression as China has claimed several island in the South China Sea formerly considered to be Vietnamese territory. McGrath’s photo essay can be seen in its entirety on DPI. The following blog has been contributed by Kristian Bertel. The photo essay can be viewed on DPI’s website. In dust, noise and chaos, the photographer Kristian Bertel takes you here to Delhi, home to 16.7 million people, where ruins of Mogulriget and Medieval basements are scattered around office buildings, shopping centers and intermittent highways. Delhi is to a degree a city surrounded by dust, noise and chaos, but it is also a city that holds so much more. As an eastern Rome, India’s capital is full of relics from ancient empires. A fierce flood of armies has been through the ages over the Indus Ganges and put their mark on the defeated city before their empire has dissolved, which conquerors before them also did. Modern Delhi which has fine restaurants and exquisite shopping centers , is a chaotic plot of medieval fortresses, dusty bazaars and colonial townscapes. And all is a short trip from Agra, another former capital of the Mogul kingdom and home to India’s most famous landmark. the Taj Mahal. To get lost in the mud of basements of Old Delhi is more than just a wild shopping trip, it’s a staggering bombardment for the senses. Aromatic incense and fragrant spices mix with car, body odor and worse, namely the sound impressions, consisting of a constant cacophony of cry, bark, music and car horns. Here you just do not get a shopping experience, you also get life completely under the skin, intense and unforgettable. As a traveler, the best time to come here in the morning is where there is actually room to get in the streets, but the Chandni Chowk district should also be tried to be experienced when it’s rush hour as this is a truly unique experience in Delhi. The bazaars in Delhi have entire neighborhoods with certain kinds of goods. In Chandni Chowk you will find clothes, electronics and stuff that breaks, as soon as you buy them. In other basar areas you can find stuffed booths featuring silver jewelry, sari, shawl, chiffon and lehanga, long skirts, while other booths feature slippers with a sewn pattern and beautiful sneakers. You can also visit the spice market, packed with bunks of red chili, gingerbread, tumeric reddish, perberkorn, coriander seeds, cardamom, dried fruits and nuts. Here is really something for everyone. Delhi is a great place if you are fond of food and the local little ones all day, either by the many stalls in the old town with dilli ki chaat, which are light meals and salads or in the fine restaurants where you can have party meals. India’s capital New Delhi is centrally located in Delhi, and is a new district built early in the 20th century. Like the rest of the Ganges Delhi is flat like a pancake. The only geographical features of significance are the Yamuna River, flowing down the eastern side of the city, and the Aravalli Mountains, which for a wide but low arc across the western side of the city. In the western part of Delhi, the city is crowded oin the almost congested Old and Central Delhi, and to the southwest are wide avenues in New Delhi, built by the British rule under their empire. The rest is an endless urban spread of suburbs and slums, while the southwest of Delhi, which is close to New Delhi, is generally richer. India’s capital has been reborn several times over the past couple of thousand years, partly explaining why so much happens here. In addition to dust, noise and chaos, Delhi also boasts stunning architecture, culture and residents coming from all over the country,good food and even better shopping. The heritage of the stormy clouds is one of the biggest attractions. Old Delhi embraces the desolate splendor of majestic Jama Mashid, the red fort and other monuments from the historic capital of the Mogul kingdom, adorn the old city that was the royal jewels. Modern Delhi has its foundation on a city that has existed for centuries. Different monuments lie scatter across the region, revealing the many empires that have invaded Delhi and made it to their homes. Delhi is the best place in India where you can experience all that brings people to India. The city where history, culture, food, spirituality, madness and mystery blend together in a big pear wrap. Here in Delhi you can see the extreme scenarios, who at one time go as a photographer, but also get some travel-seekers to disgust at India. Here the travel experience is spicy with poverty, pollution and overpopulation. 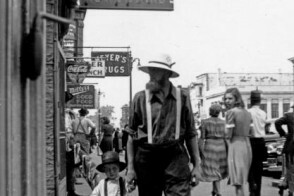 The city has grown exponentially over the years and continues to do so to accommodate the growing population, currently estimated at more than 16 million in just under 1500 square kilometers. It is part of the larger National Capital Region, also referred t as the NCR, which includes the neighboring Pradesh and Gurgaon in Haryana. The latter is known especially for its call centers and shining shopping malls to India’s growing middle class. In Delhi, the different layers of modern India are all in existence, and the metropolis’s opposites quickly become clear to the visitor. 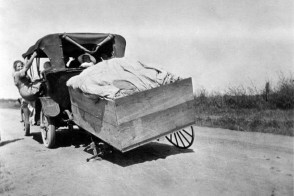 Newborn Indians talk on mobile phones and are transported in luxury cars with their own driver and comfortable air conditioning while dozens of beggars try to get through the day in the streets just outside the tinted and shielded car windows. Yesterday, January 20th, DPI was featured on WETR’s talk radio call-in program (www.talkradio923.com). Alan Diskin is the moderator for his Radio Rewound program. I had a little less than 30 minutes to explain what DPI is all about and to answer questions from other call-in listeners. Our thanks go out to Alan and WETR for the opportunity to present DPI to a wider audience. We invite our viewers to submit questions of a photographic nature to us at: info@dispatchpressimages.com. Our advice may be of help in your decision making process. If you have been following DPI for some time you will recognize the photo “Vietnam Vets“, Brooklyn, N. Y. (1985). It is the last of the four rotating photos on our homepage. 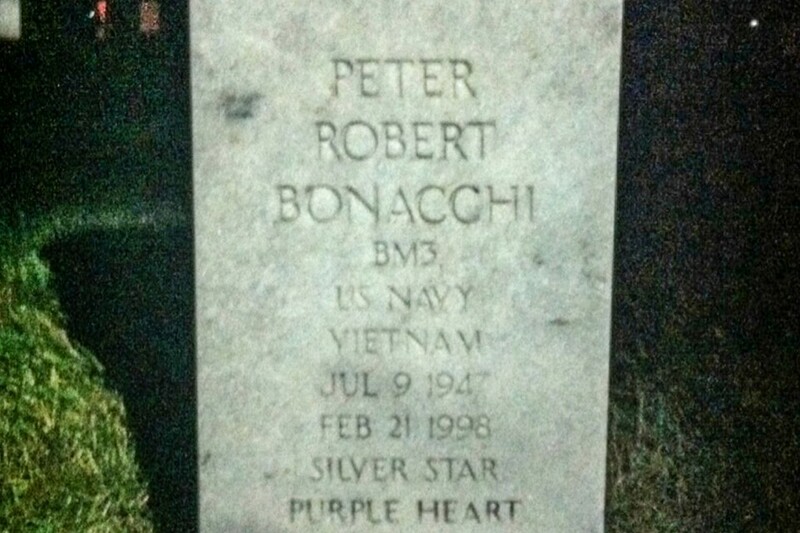 The soldier on the right with the Purple Heart and Silver Star was my very good friend Peter “Pete” Bonacchi. Pete is buried in Arlington National Cemetery, section 60. This section is in the front part of the cemetery overlooking the Potomac about halfway between the front entrance and the Pentagon. Rules are made to be broken. A studio photograph is not something that we would normally post. This photograph is that exception. We encourage and welcome any comments from our viewers. 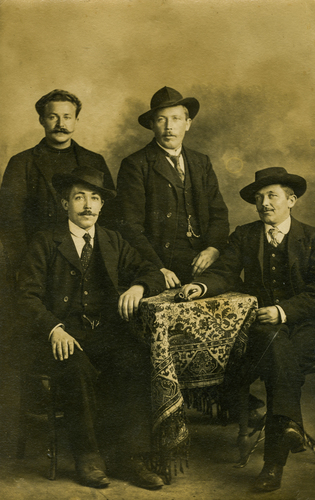 We call this photo “The Olive Oil Business“; U. S. c.1899. Perhaps you had to see the film, but if you did not you must have been living in a cave and off the grid. Our interpretation is purely subjective and we intend no disrespect. Having seen the film you have to ask the question does art imitate life? 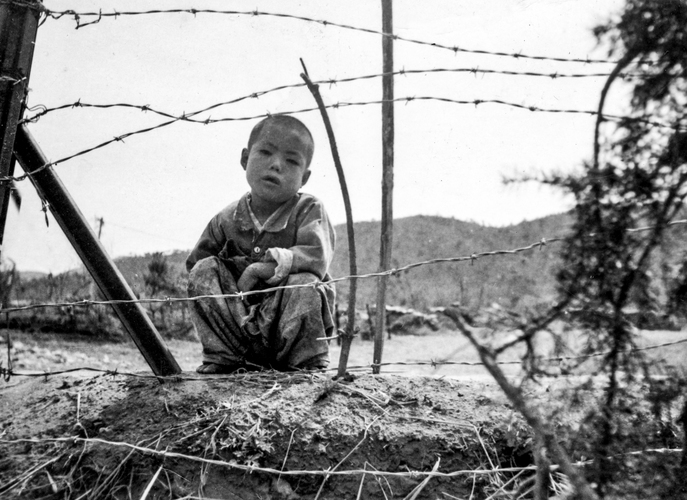 We present an iconic photograph taken during the Korean War, “Korea: Behind The Barbed Wire” c.1952. As Korea remains a divided nation we can only hope that one day freedom will prevail from the Yalu to Pusan. Having served in the military in Korea from January 1969 to September 1970, my feelings for the Korean people remain strong to this day. 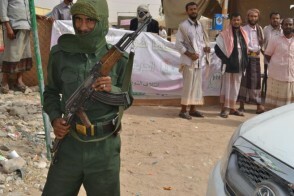 This photograph is symbolic of the nature of the conflict from a war that has never ended.